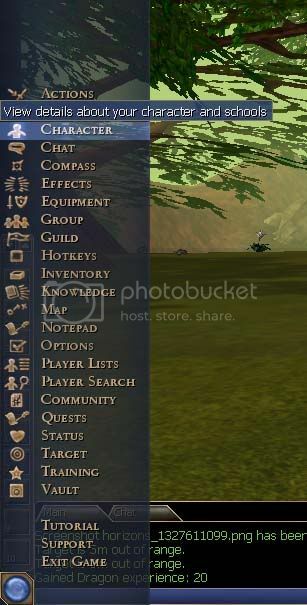 before we continue with the crafting quests, let's have a brief discussion about the other tabs on the character menu. 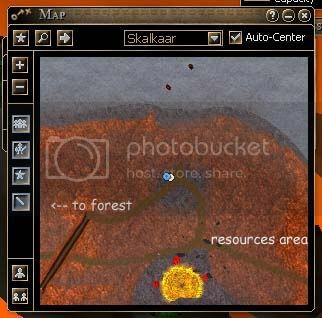 the general tab, as shown in the previous post, is the first tab. the second tab is the schools tab. 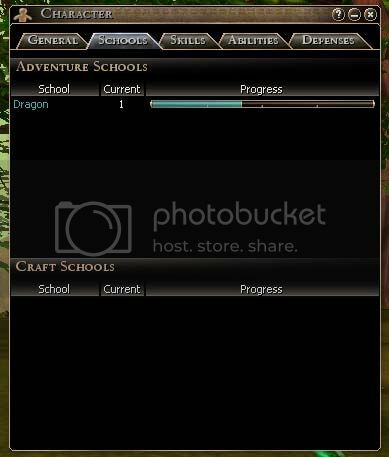 here you will find your adventure and craft schools, and your progress thus far in them. at this point, soknot hadn't take dragon crafting yet, so it is not shown, but you can see her adventure progress in this screenie. bipeds, of course, have more schools and so, more listings. after that comes the skills tab. as you can see in the screenie, at the top of the page are 2 radio buttons: adventure and craft. 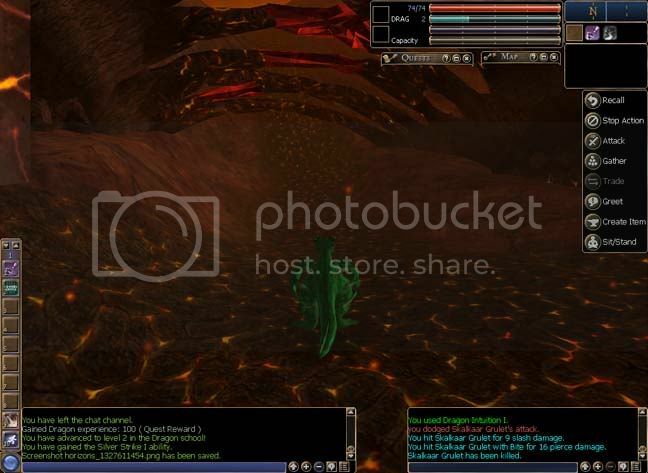 the screenie shows soknot's adventure related skills - as previously mentioned, she didn't have any craft at this point. these skills are racial bonuses as well as class, as you will see soon. 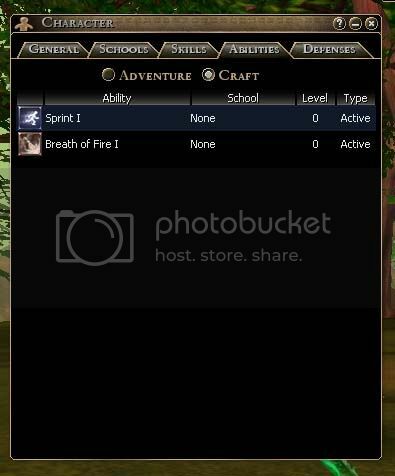 the 4th tab is the abilities tab. this, too, is split between adventure and craft. active abilities can be hotkeyed, passive ablilities are always 'on'. the final tab shows your defensive abilities. 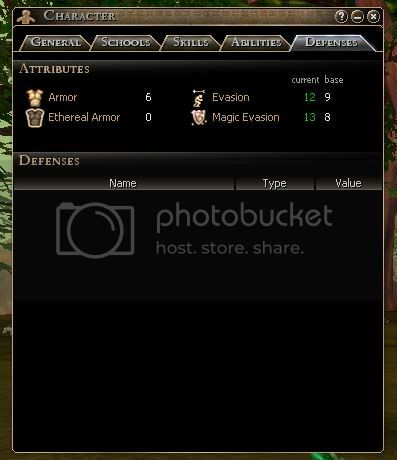 armour rating, evasion, spells and buffs in play - this is the kind of info you will find on this tab. the character menu, obviously, has much useful info. as with all games, it is important to be familiar with it, not the least so that you can hotkey new abilities and skills. 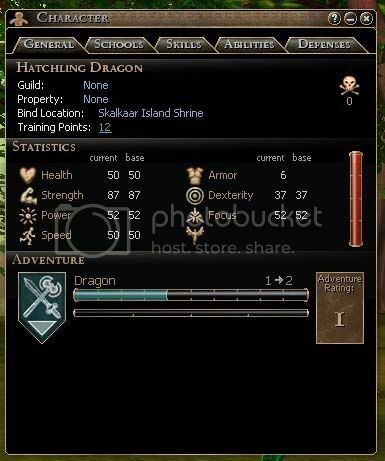 next post, we meet jemenoth and learn a draggy's first craft skill. see ya then! this will be a short post, as assigning training points is much the same in every game..... next post, tho, i will explore the other tabs in the character menu. speaking of, first thing to do is click the blue gem that brings up the options menu and chose the character menu. the first tab is the general info tab - and this is the one we are concerned with at the moment. 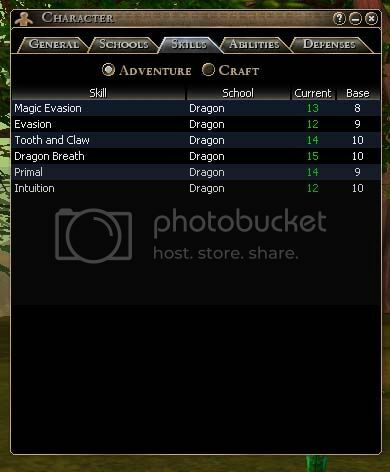 as you can see, the general info tab shows you your current skewls (advent and craft) and the progess, your stats, and misc info like guild membership, bind location, and how many training points you have to allocate. as you can see from the screenie, i have 12 points available. as you might infer from the image, you get 12 training points to assign every time you gain an advent level (you do not get points for crafting levels), up to your first 100th level skewl. after you hit your first 100th level, no more points! so choose wisey how you spend them, altho you can 'buyback' spent points and reallocate them later. 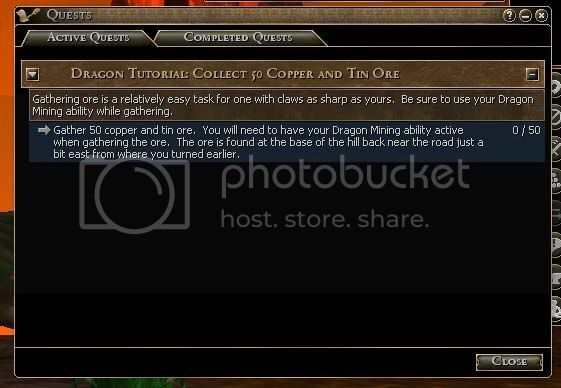 like most things, the game will give you a tutorial the first time you access the training points link, and i recommend doing it if you are new to the world, but experienced gamers can figure it all out easily. 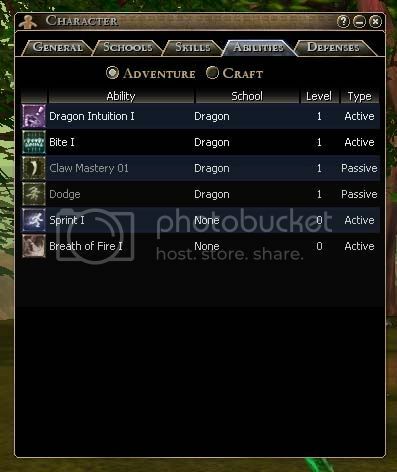 the training point screen shows you how many points you have to spend, both training and buyback, specific 'statistics' you can add points to, the point cost to raise a statistic by one, how many points you have already allocated to a particular stat, your current skill level, the base stat level for your alt, and the level change due to the point allocation. you click the arrow buttons on either side of the progress bar to add or subtract training points to a particular stat. as you can see from the screenie, i spent 3 training points in evasion, raising my base score of 9 to the current of 12, for a change of 1. the green progress bar indicates changes made. once you have spread the points around, make sure you click the 'ok' button before leaving the training screen, or your points will not be saved (yes, i have done that). next post will be a continuation of explaining the character menu - so another short post - before we get back to the quests for the newly hatched. see ya soon! !